EСTV NETWORK LIMITED and Mediastream FZE have signed an agreement for exclusive distribution of English Club TV Channel in Middle East region and non-exclusive in Algeria, Chad, Mauritania, Djibouti, Morocco, Somalia, Sudan and Tunisia. As previously reported, from November 1, 2012, the educational channel English Club TV is available for the inhabitants of Asia, Middle East and the African Continent through MEASAT 3A Satellite. Andrew Semchenko, CEO of EСTV NETWORK LIMITED, states: “It’s a great delight for us to become business partners with Mediastream FZE. All viewers from Middle East and North Africa will have a great opportunity to learn English. Having multicultural content, we have created a perfect platform for personal growth and educating. English Club TV Channel is ready to help and support everybody who wants to succeed in their lives.” Ron Kapadia, President & CEO of Mediastream FZE, mentions: “We are excited that we have an opportunity to represent English Club TV Channel across the MENA region. In our opinion, this is a channel with a difference, which entertains viewers and teaches spoken English at the same time. The Arab world is now a melting pot of over 200 nationalities with the primary language, Arabic dominating all communications. However, the spoken English language is dominant worldwide in casual and business communications, which is a well-known fact. We see English Cub TV as a catalyst for the Arab world to forge effective communications with the rest of the world. It is our pleasure to contribute the development and growth of the English language in the Arabic world.” ECTV NETWORK LIMITED, a partner of English Club TV Ltd., distributes the English Club TV Channel in more than 94 countries in Europe, Asia, Africa and Middle East. English Club TV programs are developed for viewers and listeners who have different levels of English. All rights reserved.English Club TV is an educational channel for those who study English. All programs have been developed by experienced methodologists and have an educational aspect, which helps to combine education and entertainment. Moreover, programs are divided into different levels and topics, which help viewers to enlarge their vocabulary with new words from different areas of life and therefore can feel comfortable in an English speaking environment. The English Club TV Channel is encrypted using the Viaccess 4.0 system. More information read on www.english-club.tvMediastream FZE specializes in Satellite Television Channel Representation (primarily for the Middle East & North Africa & Pakistan Region), Broadcast Management, TV Program Production, Content Acquisition and Aggregation, Digital Licensing by multiscreen modes. 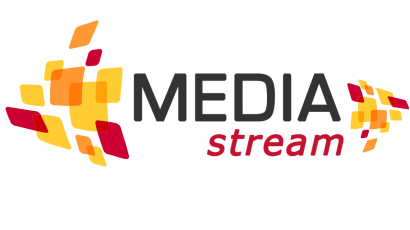 Mediastream currently represents more than 20 Satellite Television Channels originating from South Asia & Europe for the MENA region. Applications of Mediastream FZE are targeted at all levels of business operations, their clients extending from Multi-Channel TV Networks, stand alone TV stations, advertising agencies, FMCG companies, intermediary vendors & technology suppliers to TELCOs & TV Networks and airlines.